Pasta dishes are a classic comfort food for a reason. 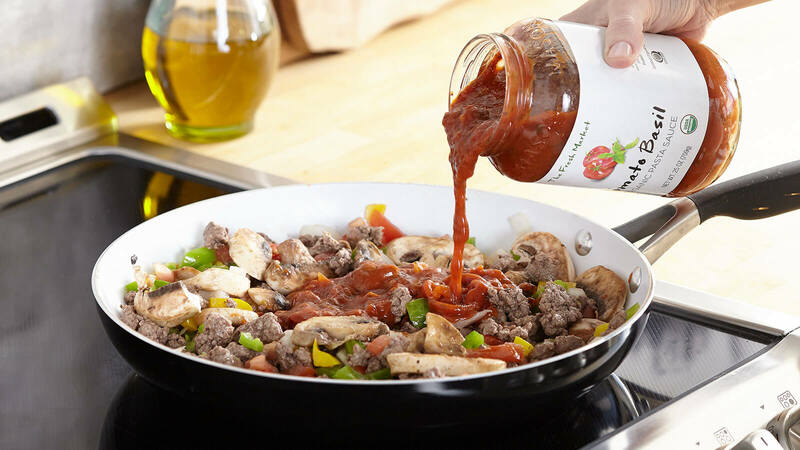 Simply pick your protein, noodle, and sauce, grab your bread and you’re well on your way to a filling Italian feast. 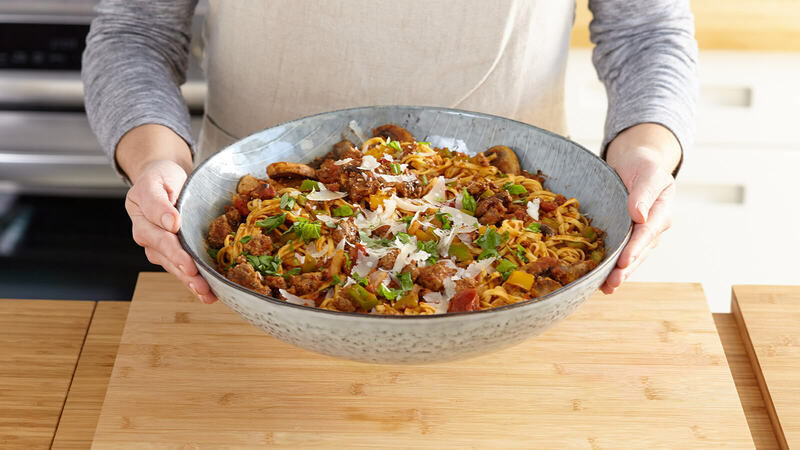 Fresh ground sirloin and delicious vegetables mix beautifully with our Whole Wheat Linguine. Add fresh herbs and savory sauce for a flavorful, well-balanced meal. Pro tip: save some of your pasta water to add to the sauce—this adds thickness and helps it bind with the noodles. Scroll down for the full recipe. 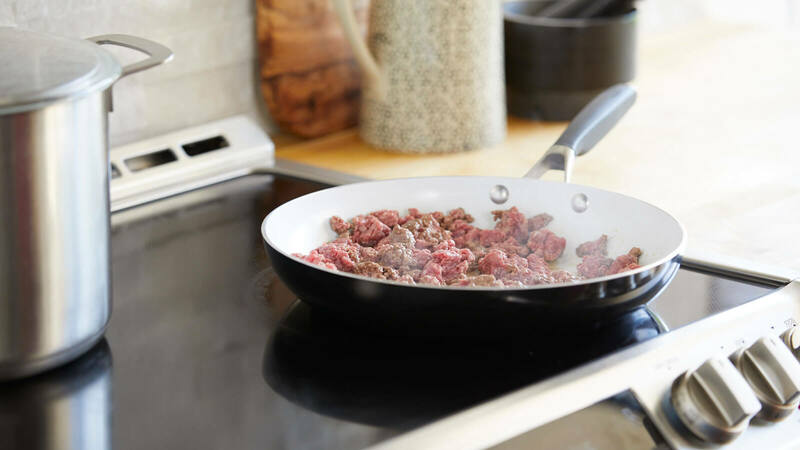 In a large skillet, heat 2 tbsp oil over medium high heat for 1-2 minutes. Add ground sirloin and season with salt and pepper, to taste. Using a spatula, crumble the meat until it is no longer pink, about 5 minutes. 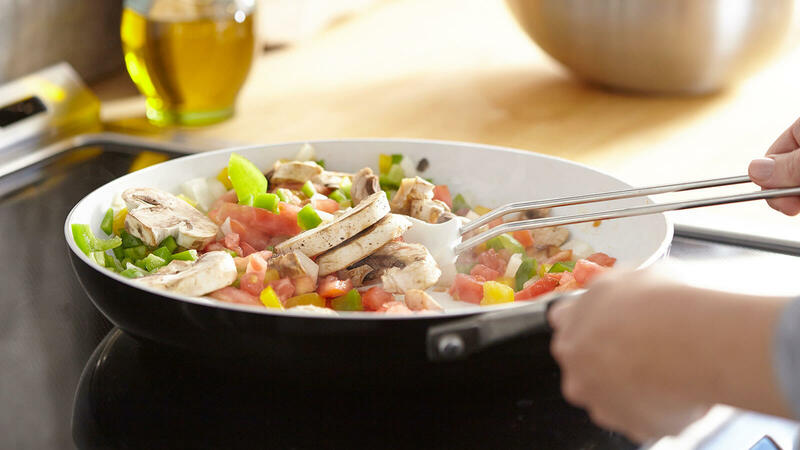 Reduce heat to medium and add remaining oil to pan. Add contents of pasta sauce veggie kit, reserving fresh oregano sprigs and garlic. Season with salt and pepper, to taste. Sauté veggies until they begin to soften, about 5-7 minutes. 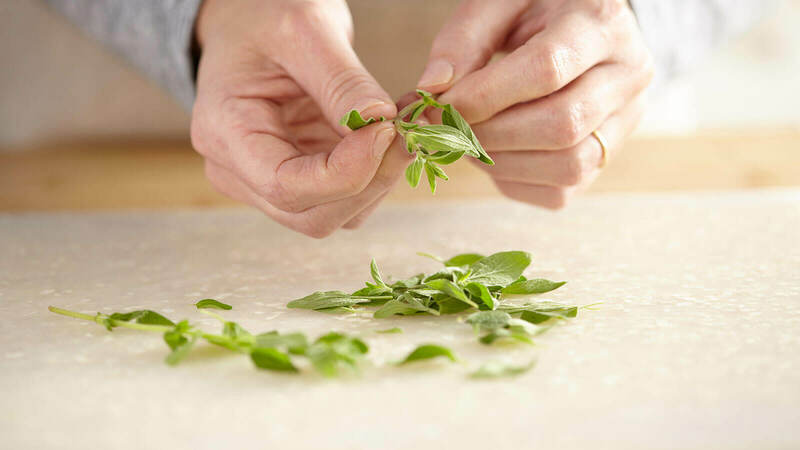 Meanwhile, strip leaves from oregano stems and roughly chop. Add oregano and 1 tbsp garlic (more if you like) to pan. Cook additional 3-5 minutes or until garlic is fragrant. Return sirloin to pan, add sauce and stir to combine all. Season with salt and pepper, as needed, and simmer 15 minutes. While sauce simmers cook pasta according to package directions. Drain pasta, reserving ½ c of pasta water. 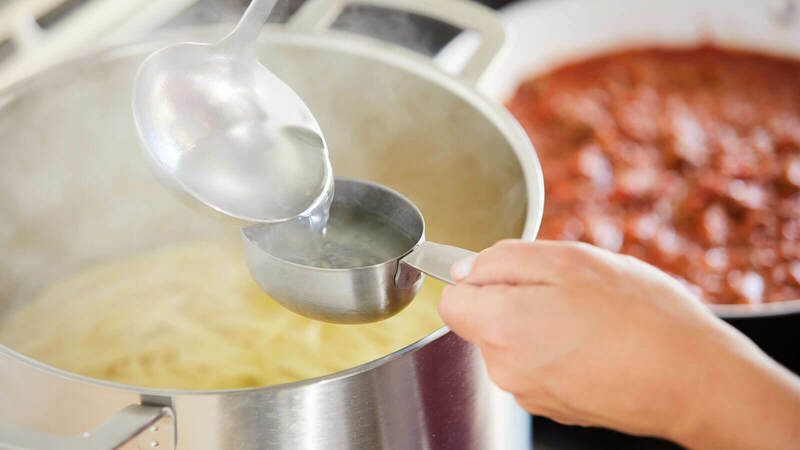 Add pasta water to sauce and allow to simmer 5 minutes. 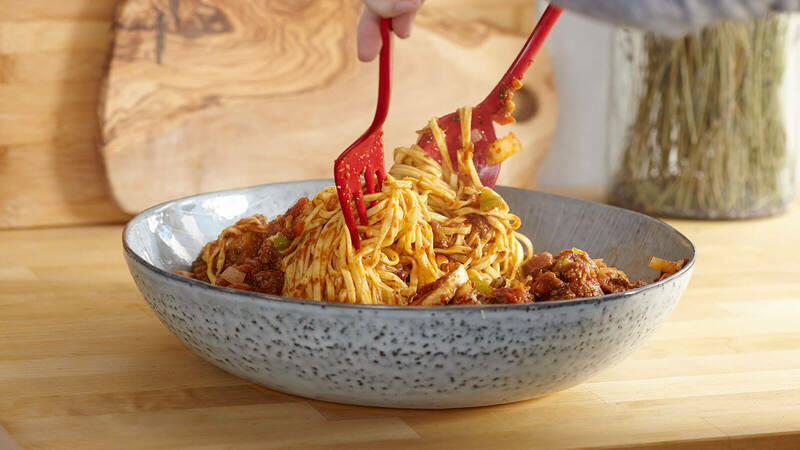 Place pasta in large serving bowl. Pour sauce over noodles and toss gently to combine. Add pasta water as needed to loosen sauce. Serve immediately with Parmesan and basil.